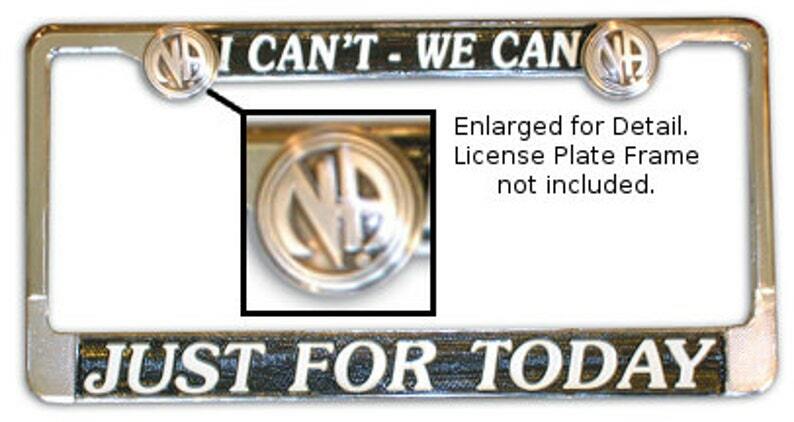 Mount your car or truck license plates with these unique antiqued silver plate NA Logo bolts. The antique plated logos, are attached to bolts that mount in to standard truck or car license holders. Comes in packs of two. They make a great gift for the NA member recognizing their clean date or as a reminder of what works! You are purchasing 1 set of 2 bolts with NA Logo.